To truly understand the genesis of M.U.G.G.E.R. : THAT SPELLS MUGGER, BOY!—or, more colloquially, MUGGER—it helps to know a thing or two about being a frightened schoolboy. Back in 1965-’66, Tom Soter and I were fourth graders at St. Hilda’s and St. Hughes School, then located on Manhattan’s West 113th Street between Broadway and Riverside Drive. In the middle of that block loomed a large, foreboding alley, presided over by a fearsome teenage ruffian named Danny Forsiay (or was it Fortisay?) Ostensibly the wayward son of a local building superintendent, Danny lived to terrorize prep school pups like Soter and your humble narrator. 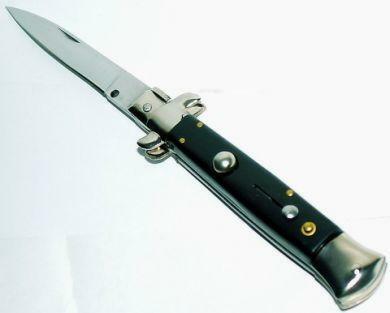 It was even rumored that he carried a switchblade, and wasn’t afraid to whip it out. How dangerous Danny truly was it’s hard to say. I still retain memories of being chased up and down 113th Street by him and members of his gang of street urchins. At the time, we were convinced we’d be savagely assaulted if caught, although we always escaped. As I recall it, after fourth grade Danny sort of faded from the scene (some said he joined the Yippies). But he had made enough of an impression that, sometime in 1969, Soter and I created a tape-recorded show called STREET KID. In it, we played Sam and Jack Rosen, the two main minions of one Danny Forsiay (or was it Fortisay? ), the mercurial, slightly insane “chief of the muggers.” STREET KID was a quintessentially silly bit of fluff. One typical plot featured a drug-addled Danny ordering Sam and Jack to wear roller skates to rob people, with much slapstick ensuing. The series ran for—well, ace archivist Soter could probably tell you exactly how many episodes, I don’t really remember. At least eight to ten, I would think. One thing about STREET KID was that it had the hippest theme song around: “You Dig” by Johnny Rivers, the flip of the “Secret Agent Man” 45, which Soter had the genius to slow down to 33 r.p.m.—a speed at which it sounded both ominous and cool as hell. At some point after STREET KID’s run ended, Sam and Jack (or Soter and Sinclair) hatched the idea for a follow-up series, MUGGER. The show was basically STREET KID Revisited, albeit with more surreal touches (the muggers now had a butler named Daggs, played with a full-on British accent by the inimitable Alan “Henry Sorelli” Saly.) The plots were even more ridiculous—and hard to follow—than STREET KID’s. In one episode, the brothers traveled back in time and, almost by mistake, wound up killing Hitler (and here you thought he had committed suicide). Christian Doherty brought his own zany charm to several episodes. MUGGER was the beginning of the end of an era, marking a time (circa 1972) when creating improvised tape-recorded shows would be supplanted by other activities in our little group. Indeed, the very names of Sam and Jack’s new characters on MUGGER—Moby (as in Grape) and Humble (as in Pie)—was indicative of my own burgeoning interest in rock music to the exclusion of virtually everything else. But listening back to the ineffable weirdness of a MUGGER episode like “Pompulous Caesar,” I feel a sense of awe and something akin to pride. It is perhaps the very definition of insular humor, but I’d like to think that someone out there might dig it. Give it a listen and give us some feedback. And, if you don’t like it, why, me and my brother is gonna have to jack you up, boy! Whiitt!!!!! In an updating of their characters from the hit series Street Kid, Sam and Jack Rosen play muggers Moby and Humble Smith, who get thrown into an uneasy partnership with a retired thief (Ty Phillips) and his British manservant Daggs (Alan Saly). Humble (Jack Rosen) finds his knife comes in handy when he turns up in ancient Rome as one of the conspirators planning to kill Caesar, who bears a remarkable resemblance to Pompulus (Ty Phillips). Daggs: Alan Saly. In the final episode of the series, Moby and Humble reflect on their future, before slipping into the past and winding up in Nazi Germany. Pompulus: Ty Phillips.